"Rottweiler Address Labels" product is already in your cart. With an undeserved reputation for violence, Rottweilers are often viewed with fear. Rottweiler Address labels portrays these good-natured but protective canines in casual settings at rest and play. 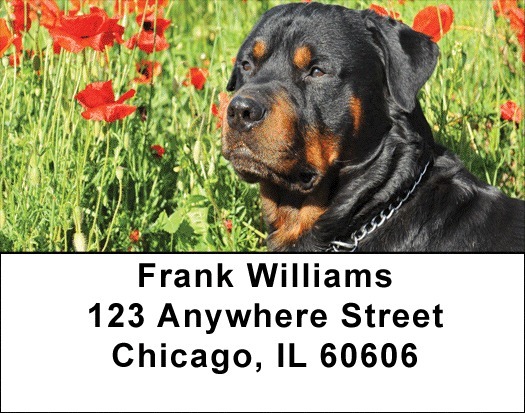 Rottweiler Address Labels are self adhesive and matching checks are also available.